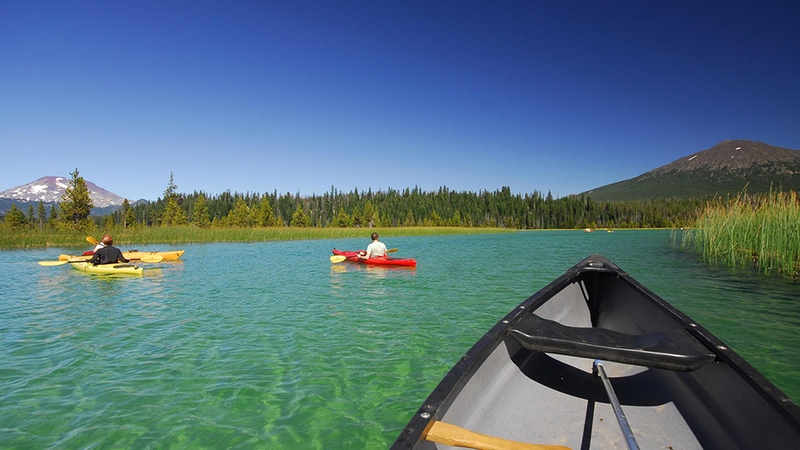 Hosmer is a “fly fishing only” lake well known for its breathtaking views of Mt. Bachelor, South Sister, Broken Top, wildlife viewing and the big Atlantic salmon, brook trout and rainbows that are quite visible in this shallow, clear lake. Motorized “electric motors only” and non-motorized boats are allowed on this body of water. See Hosmer Lake Boating Site for more information.